Being the gateway to the gorgeous Andaman islands, Krabi’s turquoise waters and pristine beaches have attracted many to its shores. 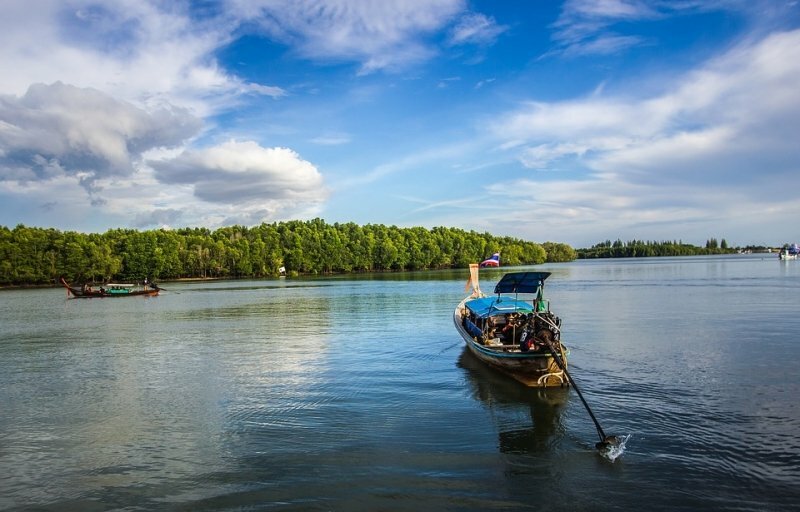 With a myriad of natural assets that offer visitors a wide array of outdoor activities, it is no wonder that Krabi is a traveller’s paradise. However, with dozens of islands scattered around a 150 kilometre-long coast, planning an island-hopping trip to this popular beach destination can be quite overwhelming for many. Plus, we know how painful travel research can be! Instead, save yourselves the misery with this comprehensive guide, which will provide you with all the information you’ll need to go on an amazing adventure. Next summer getaway, check – happy island hoppin’! If you are less of a D-I-Y traveller and prefer your holidays all planned out for you, take your pick from our favourite Krabi island-hopping packages! 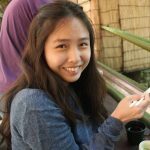 There’s the 3D2N Unseen Beauty of Krabi, the 4D3N Krabi Trang Tour and the 4D3N Krabi Surat Thanni + Homestay Experience Tour, amongst many more! 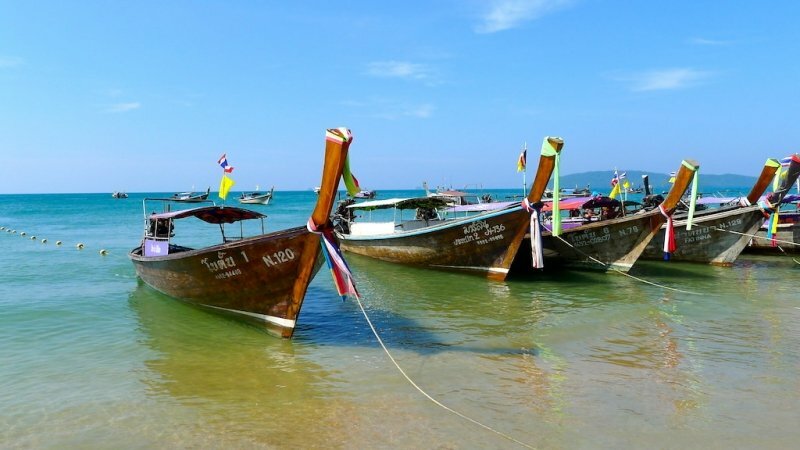 Besides island-hopping, grab the chance to discover more of Krabi while you’re at it. Simply send in an enquiry to get your quote and you’ll be all set to go! Before we can get started, it is important to first understand the islands. There are estimated to be around 150 islands around the Krabi coastline (no, we aren’t kidding). Some are small rocky outcrops which are uninhabited and have no landing access, others are larger with gorgeous coastlines where visitors can swim, snorkel, or simply bask in the sun. 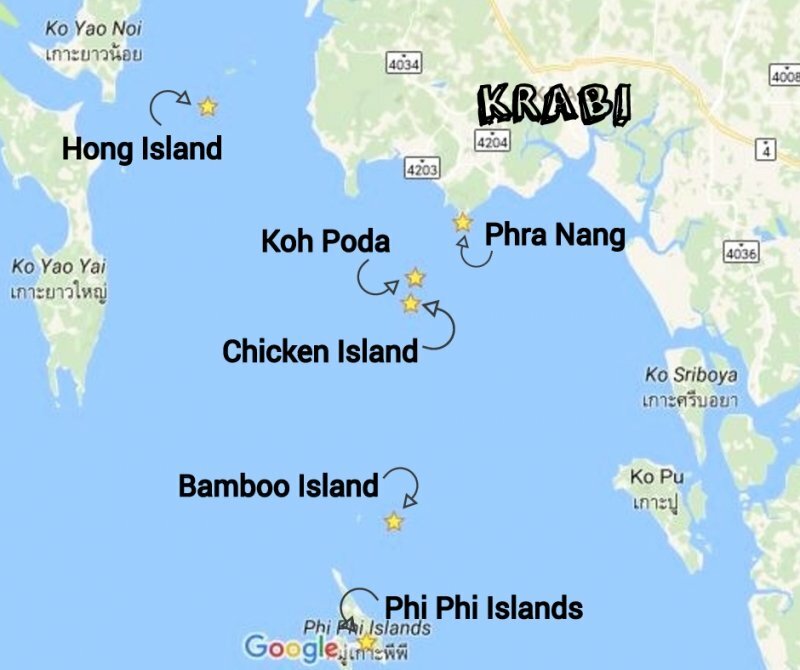 To put things into a visual perspective, we’ve mapped out six must-visit islands in Krabi. Now, what is there to do on each island? What can you expect to find? Let’s find out more before we get going! 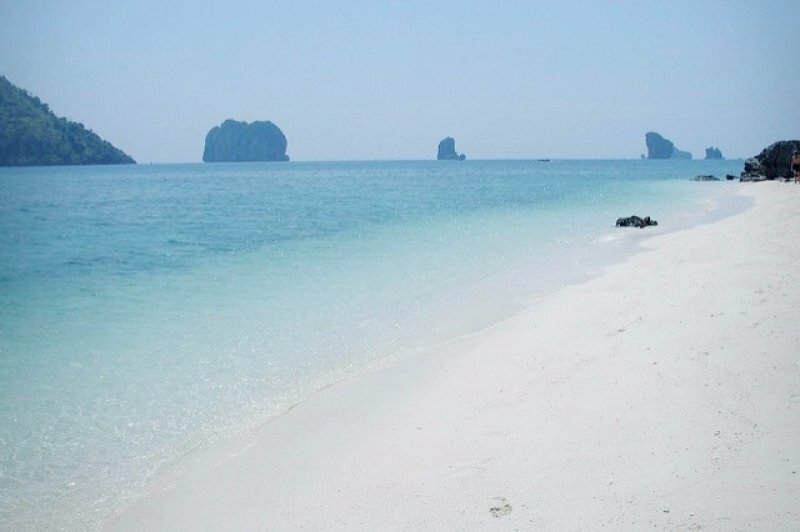 Pristine and untouched, Hong Island is one of Krabi’s most beautiful islands. With calm, shallow waters and two white sand beaches lining its twin bays, this location is perfect for swimming and snorkelling. “Hong”, means chamber in Thai, and refers to to the hidden lagoon on the island. This elusive lagoon lies within a dramatic cliff-lined meander of the island’s waters, and rewards travellers with a stunning view. During low tide, the water even undergoes an incredible colour change from a deep emerald green to a clear turquoise! It is also important to note that Hong Island is uninhabited. While you will find respite from the hustle and bustle of tourist crowds, this also means that you will have to come sufficiently prepared (think: sunblock, towel, food and water). Located on the most Southern tip of the Railay Peninsula, Phra Nang is the epitome of a classic limestone-cliff island in Krabi. With an endless stretch of beachfront perfect for all beach activities, it is no wonder that this is a perennial favourite amongst the tourists! Unlike Hong Island, there are plenty of human activities going on here. For one, keep your eyes peeled for “food-boats” along the northern end of the beach. These are long-tail boats that sell freshly made sandwiches, BBQ corn and fruit juices. What propelled Phra Nang to fame was, interestingly, rock climbing. With towering karst formations and overhanging rocks, these soaring limestone pinnacles have drawn many climbers to them. One of the most renowned routes is known as ‘The King and I’, which is a multi-pitch climb found on the Thaiwand Wall. Legend has it that if you climb all to the top and look towards the most easterly reaches, you can catch a glimpse of a large mysterious cave which holds the remains of an old King of Thailand and his precious treasures. A small limestone island, Koh Poda is a paradise for those who have long dreamed of a quiet empty beach akin to the deserted island that Robinson Crusoe first stepped foot on. East of the boat landing, there are no boats, no crowds – just you, the mesmerising turquoise water, the soothing sound of gentle waves and a pearly white beach. This is the island for you to snap amazing Instagram shots that will be sure to garner loads of likes! Furthermore, an enchanting underwater adventure awaits you just 20 metres away from the beach – a coral reef with a wide variety of marine life. 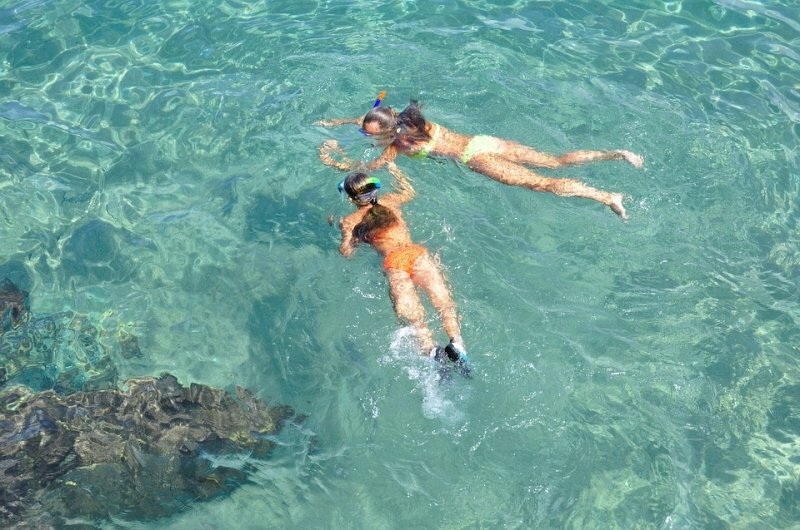 Be sure to bring along snorkelling gear for an exciting swim with the fishes! Apart from a small beach hut that sells cold drinks and water, the only other establishments on the island are a tiny hotel (Poda Island Resort) and the National Park Rangers’ Camp. 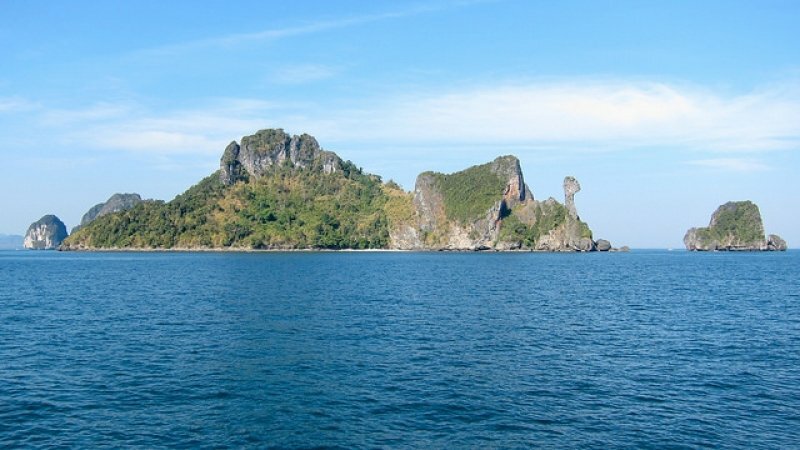 As Koh Poda belongs to the Haad Noppharat Thara-Mu Koh Phi Phi National Park, artificial alterations to the islands have been kept to a minimum. Originally named Koh Hua Guan (“Axe Island”), this island was later nicknamed Chicken Island by tourists because of the chicken-shaped rock at its southern tip. Over time, this cute nickname stayed and gradually displaced its initial name. While you can opt to stop by the island for a short visit, most visitors simply take a water tour around the island to take photos of the peculiar chicken head. Aside from its distinctive name, Chicken Island is also known for a sand bridge that connects it to its neighbouring islands of Koh Tup and Koh Mor. It’s a short walk that takes only about five to ten minutes. Just imagine taking a romantic stroll with your partner across the vast oceans on ivory sand! By the way, this sand bridge is only visible during low tide, so be sure to check the tide timetables before heading out. Bamboo Island, or Koh Mai Phai, is a small island belonging to the Phi Phi Islands. Yet, unlike its sister islands, it is flat and has no steep cliffs. It only has a pearly white beach surrounding the circular island on top of a little forest in the centre. 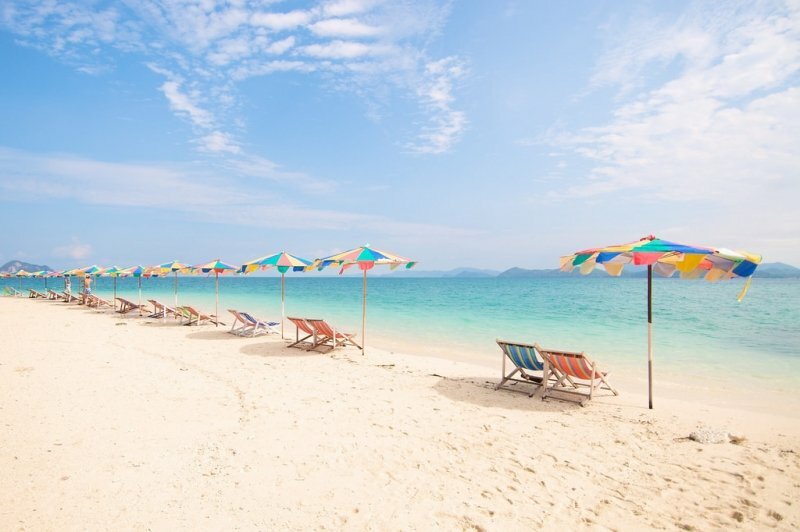 In addition, as many tourists favour visiting the main Phi Phi Island, Bamboo Island has very few visitors. Those who visit during off-peak season virtually have the entire dazzling beach to themselves! If you are one who simply hate crowded places, you will find this quaint island to be a paradise on earth. An island that never sleeps, the vibrancy and intensity of Phi Phi Island can admittedly be as draining as it is attractive. 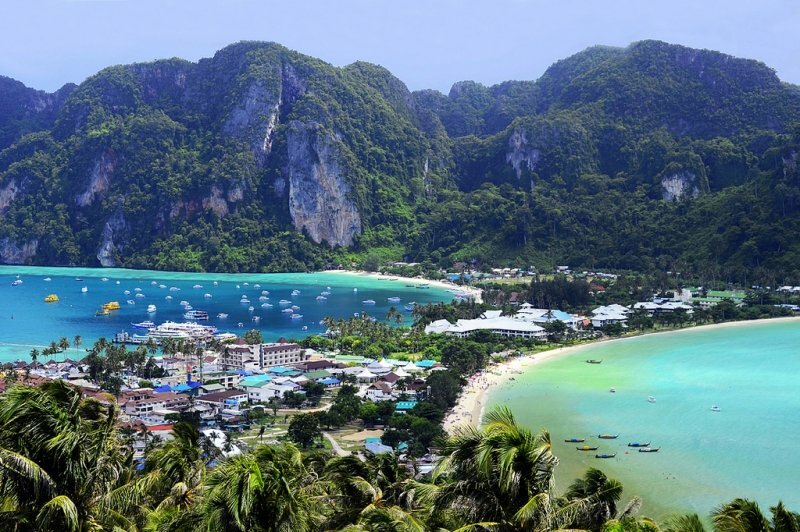 With a bustling nightlife and crowded beach parties that extend all night long, Phi Phi Island is an epicurean paradise. It is also a conglomerate of rugged cliffs, bleach-blond beaches and a long stretch of tour operators, restaurants and bars. Joined by a narrow isthmus, the western and eastern coasts of Phi Phi Island tell very different stories. On the west, Ton Sai Bay is crowded, noisy and teeming with tourists. For first-timers, the sheer volume of human activity may appear very chaotic. On the other hand, the eastern Hat Yao is slightly more isolated. Absent of deafening pop music and boisterous crowd, you can find a far more peaceful and spacious beach here. While Phi Phi Island is suitable for a day trip, some prefer to stay on for two to three days for a thorough exploration of the island. If you are one of those, there are numerous resorts and villas for you to pick from. However, being in the midst of recovery from a devastating tsunami, coupled with the fact that it is a tourist’s haven, prices here can get quite steep. Now that we’ve got the islands all figured out, the next step is to pick your hub and settle your accommodations. Firstly, select a hub to base yourself in. 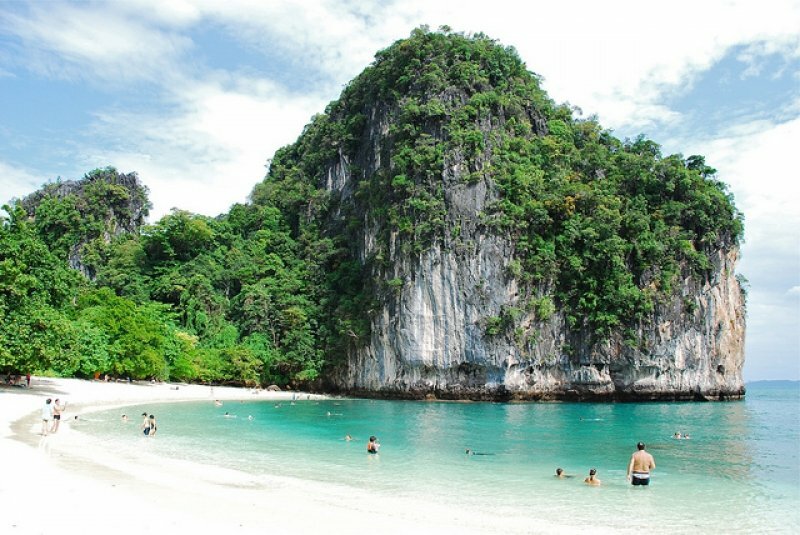 There are two options in Krabi – Krabi Town and Ao Nang. 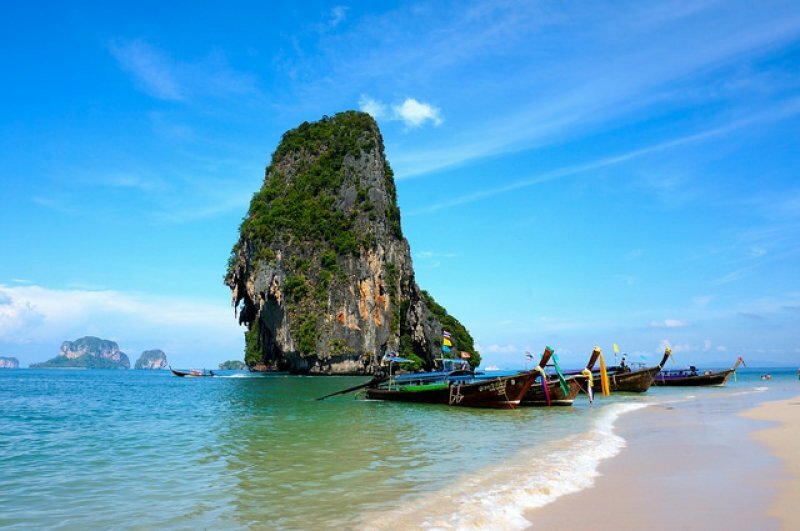 Based on accessibility and convenience, we would pick Ao Nang. It may not be the most glamorous town, but it is the harbour for long-tail boats and speed boats. Furthermore, it is easy to navigate and has a wide variety of cheap food choices and accommodations to choose from. Next, it is also important to pick a suitable accommodation. You definitely don’t want to spend time travelling to and fro from your accommodations after tiring day trips on the sea. Do choose one that is near the main pier and around decent restaurants. Be warned: There are so many hotels in Ao Nang, you will have to take some time to pick one that’s to your liking! Too many decisions to make? Fret not, these Krabi tour packages will chase away all that pre-travel woes, where your accommodations, meals and transport will all be settled for you! Take your pick from 3D2N Unseen Beauty of Krabi, the 4D3N Krabi Trang Tour and the 4D3N Krabi Surat Thanni + Homestay Experience Tour, amongst many more! Hesitate no more and send in an enquiry today! Just one more tip before we delve into the crux of our planning – you need to pick the right time to island hop in Krabi! For best weather conditions, late January to March is the time to go. You can expect clear blue skies, calm waves and moderate temperatures, all perfect for a beach getaway! During this period, you can also avoid peak season charges (December to January) at your hotels due to Christmas and New Year. The downside though, is that everyone else comes during this time too! As such, there are others who prefer to visit during the rainy season of May to November. Despite risks of showers, it is cooler, cheaper and much less crowded! Ultimately, it’s whether you want to take a gamble. In Krabi, it is not uncommon to get a straight week of sunny (or rainy) days during the rainy season! Finally, we are on the most exciting part of the planning process – choosing your island-hopping route! As you ponder over this, do note that you should avoid going for an ambitious route (i.e. trying to cover everything). If you do so, your relaxing holiday will only turn into an exhausting one! The four islands in question are Phra Nang, Koh Poda, Chicken Island and Koh Tup (as mentioned previously, Koh Tup is connected to Chicken Island). This is a popular route due to several reasons. Firstly, these islands are located the nearest to Ao Nang. In fact, Chicken Island is only a 15-minute boat ride away! What this means is that you have more than enough time to explore each island, without having to rush from one to another. Furthermore, you get the best of both worlds – the rush of energy in Phra Nang and the tranquility on the other three islands. The second route is much further away from your starting point in Ao Nang. It will take you about one and a half hours from Ao Nang to Bamboo Island and Phi Phi Islands (collectively known as the Phi Phi Islands). Given Phi Phi Islands’ reputation – not only are they Krabi’s “must-see”, they are also a Phuket’s “must-see”. As such, whether you will enjoy this route depends on what sort of traveller you are. If you are a crowd-lover, you will absolutely love this route. If you aren’t, you are going to dread it. 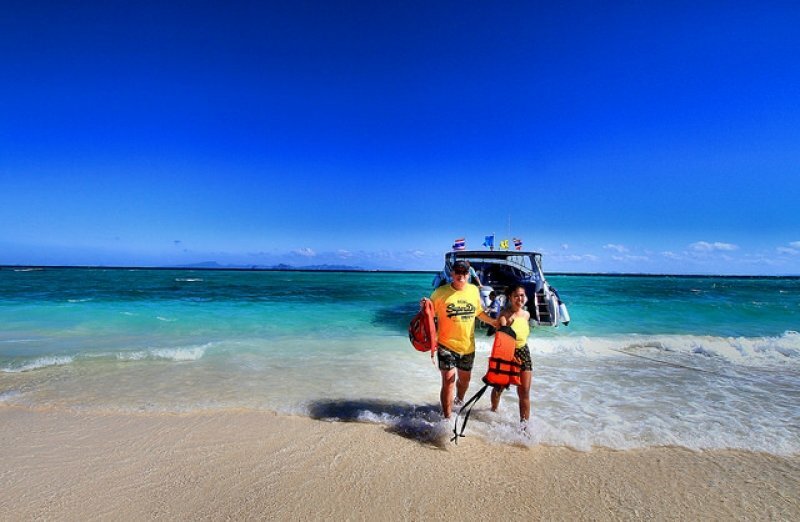 With ideal snorkelling locations located close to the coast of the islands, the Hong Island route will appeal to nature lovers. In addition to Hong Island, this route also includes visits to peripheral neighbouring islands, including Koh Lahding and Koh Pakka. 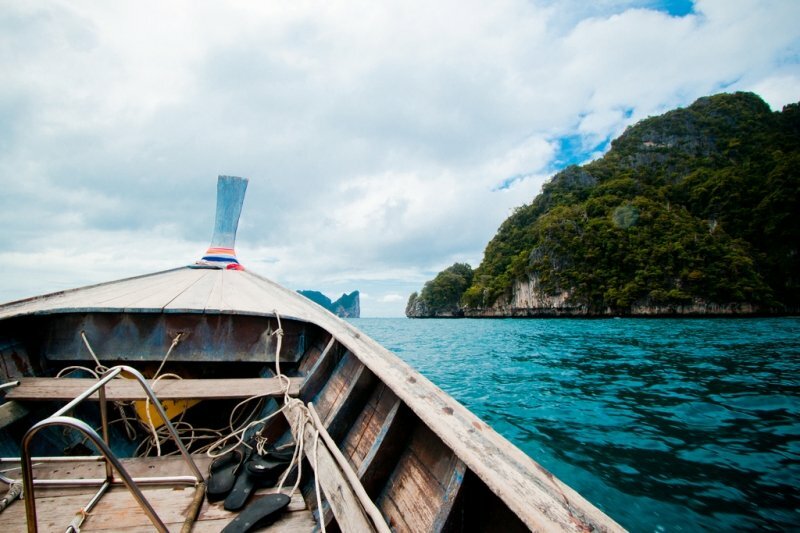 Nearly a 45-minute ride away from Ao Nang via long-tail boat, gear up for at least two snorkelling sessions on your way! Feeling a little confused? Fret not! Rather than having to go through the hassle of renting a private boat and arranging your routes by yourselves, why not have your epic island-hopping adventure all sorted out for you? On top of that, your accommodations, transport, itinerary have all already been carefully curated! Just choose any of the following packages and send in an enquiry – it’s THAT simple! There’s no need to start your island-hopping journey with worries and woes. Have all of these under control with our awesome Krabi travel deals. Now sit back, relax and enjoy Krabi! 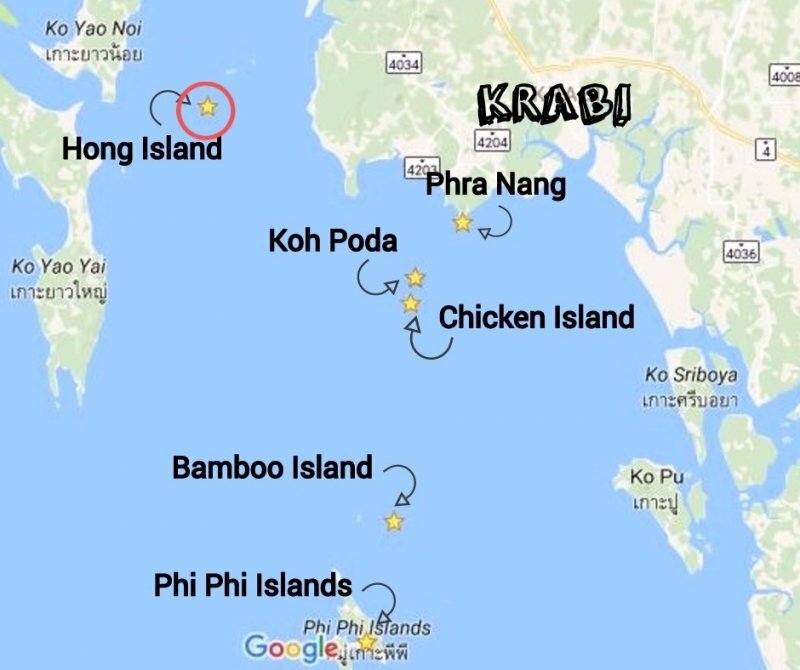 There, it’s not that difficult to island-hop in Krabi (or is it?)! Put on your explorer’s hat, throw on your favourite swimwear and grab a tube of sunscreen. Are you ready for an amazing Christopher Columbus-style island-hopping adventure?